Castle & Stana both made TV Guide’s Best of 2012. Stana came in at #2 for user’s favorite actress and Castle came in at #5 for favorite show. 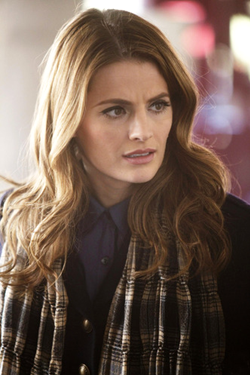 Katic’s emotional portrayal of a vengeance- and justice-seeking Kate Beckett has long been one of Castle‘s dramatic anchors. But now that Castle and Beckett are a couple, Katic is also having lots of flirty fun. Clearly, it’s a balance our users find irresistible. It seems our users are satisfied with the show’s decision to put Castle and Beckett into a relationship after four seasons of will-they-or-won’t-they tension. Indeed, Season 5 has had a fun new energy as the pair tries to keep the relationship secret.